It comes as no surprise by now that Massachusetts is home to an incredible number of rising artists. 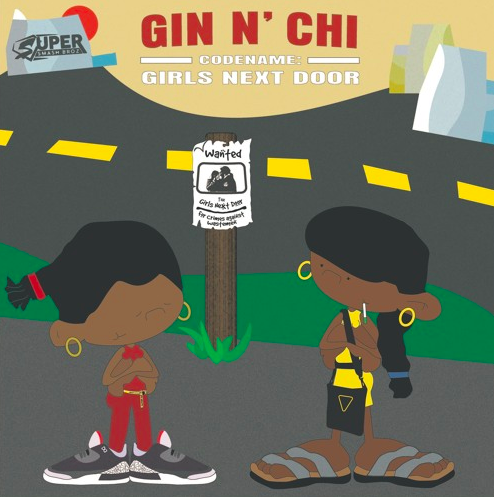 Amidst the finest of these artists are Gin Mason and CHI: two remarkably gifted talents that are here today to present fans with a 6-track project, Codename: Girls Next Door alongside Boston DJ duo the SuperSmashBroz. For those who have been paying close attention to our pages recently, you may remember the first single from the project, “Girls Night“, released a few weeks back. We heard great promise on this loose release, but now that the final product is finally here, it goes without saying that Mason and CHI have blessed us all with a worthy soundtrack for the good times that arrive with the warm weather. Each song is immaculately placed in a way such that its full effect is felt, and the solo feature from fellow Boston native Michael Christmas only acts a cherry on top to the melodic track and my personal favorite off of the project, “Fronto”. Additionally, we need to acknowledge production credits from LDG, Maka, Tee-WaTT, the SuperSmashBroz, and KorHef, all of which absolutely snapped in their respective roles. The latest collaborative offering from Gin Mason and CHI deserves to be kept on repeat for the months to come, so click play below and play this tape at full volume!